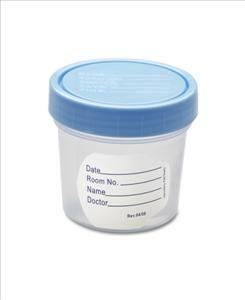 The 4 oz containers have screw-on lids, patient ID labels and graduations in oz and cc. O.R. Sterile, in Peel Pack.